AMES, Iowa — Doug Alert and Margaret Smith, of Hampton, have been chosen to receive the 2019 Sustainable Agriculture Achievement Award, granted each year by Practical Farmers of Iowa to an individual or couple that has shown exemplary commitment to sustainable agriculture, generously shared their knowledge with others and been influential in efforts to foster vibrant communities, diverse farms and healthy food. The award will be presented on Friday, Jan. 18, at 5:15 p.m., during Practical Farmers’ 2019 annual conference, “Cultivating Connections,” in Ames. The couple officially started transitioning the farm to organic in 1994, the year they married. But Doug had been experimenting with a more diverse crop rotation for years, as well as looking for ways to reduce pesticides and other inputs. 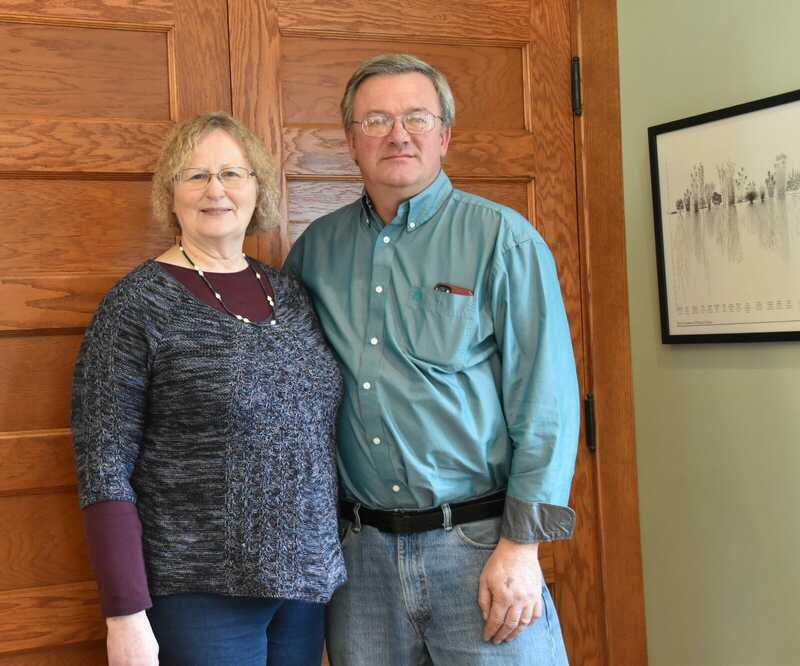 Margaret, who works as a forage agronomist for Albert Lea Seed, and for many years worked with Iowa State University Extension, brought her agronomic expertise and livestock experience to the operation. Both shared a belief in the need to steward the soil and the land. “That is the Holy Grail of sustainability,” Margaret says. “Because whatever you do in your lifetime, it doesn’t take too long to undo if you rent your land to somebody who will vastly simplify the agroecosystem you have fostered. PFI board member Mark Quee will present the 2019 Sustainable Agriculture Achievement Award to Doug and Margaret on Friday, Jan. 18, at 5:15 p.m., at the Iowa State Center Scheman Building, on the Iowa State University campus in Ames.